Besides the tall dark and handsome father that walks his son to the bus that stops at the corner of my parents block, at approximately 7:15 AM, clean shaved, standing at 6’3, suit and tie guy, slim figure, checking his phone, wearing is wedding band, yes, I started running again. I said I wanted to exercise more a few posts back, but with all the interviewing, school preparations, and altering my life to get out of my emotions because of the end of July, I didn’t make it happen this past August. However, when I am determined, I am determined. By the time you see this, I should be at 12+ miles for the month. I run five times a week and a little over a mile each of those days. It’s hard keeping up with it but I see the difference. My glut and my abdomen is tighter, which is what I want for wedding season, you never know, I might find a man. A few years ago when I started my weight loss journey, running/walking, helped release the stressors of my life. Lately, things aren’t as stressful as prior years, but running, has alleviated my stress tremendously. 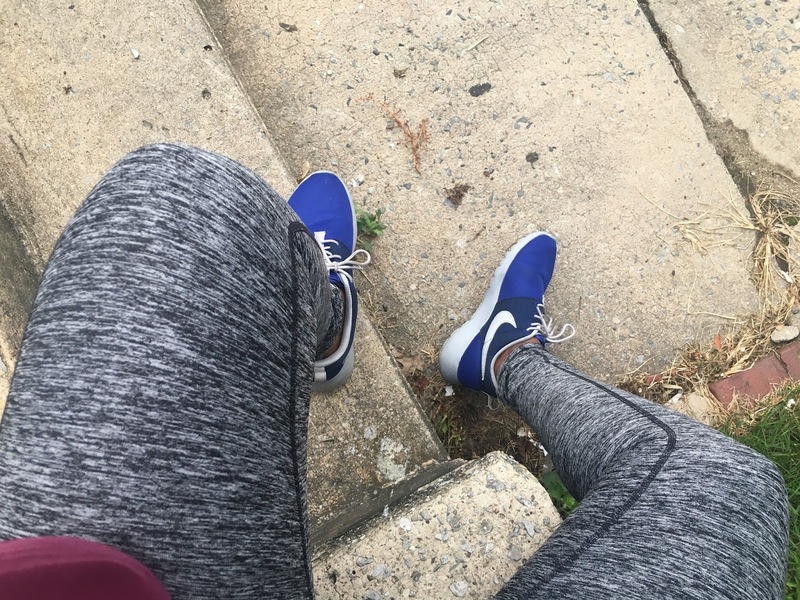 I am breaking some emotional barriers down right now, getting through some things, and trying to maintain my mental wellness; running is necessary. I bought new pants, a new bra to support these things, and changed my sneakers. The weather is surely changing so I need to get more suitable active wear for the climate. When the air hits my skin, I come alive ready for the day, all the madness, my kids who won’t listen to their parents, the BS emails, the kids who are excited to show me that they’ve passed an exam, or the parents whom are combative about following the rules, all while trying to fit in a lunch break; I feel good. Other days, it doesn’t change what happens in the mind but it gets me through the unwanted memories. It is what it is. Back in November of last year while scrolling on Facebook, I came across an article of a black owned skin clinic in Harlem. They specialized in laser hair removal, waxing, and skin treatment. Impressed by the reviews and the story, I never forgot about them, so I kept them close in memory. I was interested in doing laser hair removal and wanted to be sure about where I would be spending my money since this wasn’t covered by insurance. A few weeks later in December as I sat in a training for work, the clinic that I had previously found had a special for three laser hair removal sessions for a small area. Intrigued by the price, YES, I swiped. Anxious wasn’t the word. If in that moment, If I were able to leave that training and start my first session I would have done so. That day, I paid to remove one of my flaws. My first hair removal session was on December 29, 2015. I discussed having been diagnosed in 2008 with PCOS in 43 and Inspiration Maybe?, but never spoke about the one thing that I despised about the disease; un-normal hair growth.I could barely look someone in the face because I thought they were seeing the one thing that made me feel so small in the world, facial hair. I I tried tweezing, shaving, almost waxing, and ignoring the hair while staying indoors for days at a time in the comfort of my own home to avoid the maintenance. It was such a painful process to remove the hair because the face is extremely sensitive. I always wondered, what the hell would I do about this chin hair on my wedding day? How do I explain this to my husband? When will I ever admit to this in a relationship? Well, an unwanted touch of the face and the strong like for the last guy I was with in the beginning of our relationship, I had to talk about it. He was the first guy I discussed my facial hair flaws with, but he was patient and understanding, Lawd I love him for that. His patience wasn’t enough for me. I made it to my appointment every six to eight weeks an hour early. I wanted this thing gone for good. Just talking about this make my feel small. But now that its done, well with routine visits every six months, it doesn’t feel so bad. Try to start sessions in the later months of the year, the less sunlight the better to protect your skin from hyper pigmentation. Avoid sessions around your menstrual cycle, the body is very sensitive during that time, and the laser can be painful. Continue using Sunscreen even after the two-week period after your session, protect your skin as best as you can. My last session was today. One flaw down, 99 more to conquer.